Hey guys! Today's post is very exciting (and sort of nervewracking) for me. You've seen manicures like today's on my blog before; I call it the fishtail style. 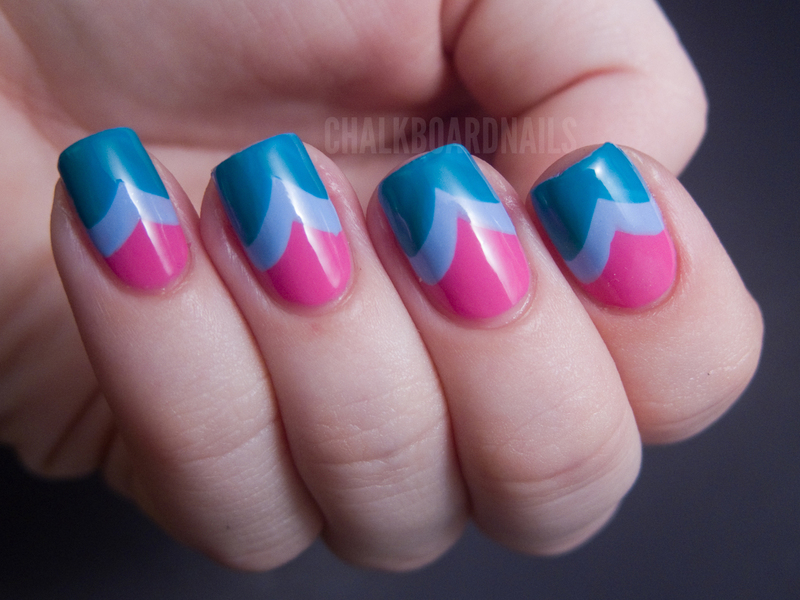 Others call it the chevron, but I think fishtail suits it better because of the curved lines. To me, chevrons are straight edged! Anyway, that is neither here nor there. The fact of the matter is, when I asked for comments on my last giveaway, a huge number of you guys asked me to do more tutorials. I also got a lot of requests for videos! So I took the plunge! Truthfully, I know almost nothing about video, and thus had to hack my way through this video like a tactless explorer in the jungle with a machete. I think it turned out fairly well for my first time though! In the meantime, feel free to subscribe to my YouTube Channel. I won't go over the technique because I have discussed it in my older fishtail posts, and, well HELLO, there's a tutorial video up there! I hope you guys enjoyed my first step into video! 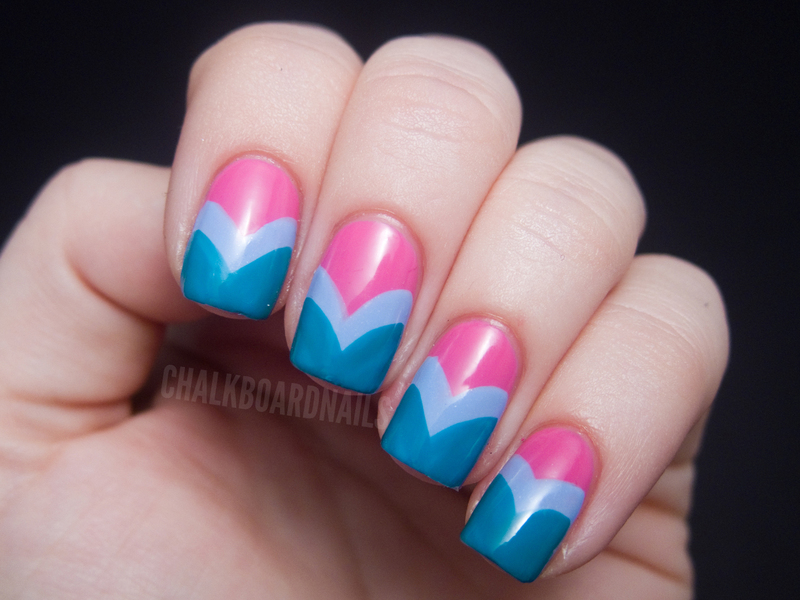 As always, I'd love to see if you give this technique a try, so stop by the Chalkboard Nails Facebook or Twitter pages and share with me! Looks good! Going to suscribe! Love this mani!!! Yayy for YouTube! All the best with it. Oh I love this and I'd love to try, you make it look easy, bet it's a bit tricky, thanks for sharing, great photos and great tutorial x Thanks for sharing! as i was watching your video, i was totally surprised that you did this free-hand! it looks so perfect that i thought you must have used a cut-out to trace or something. wow! Yay, a video tutorial! How awesome. You have a pleasant voice to listen to! Love the tutorial, and I agree, you have a pleasant voice! I loved it! Going to do this today! Love the mani! I'm SO glad you're going to do video tutorials! Looks great and a beautiful color combination! YAY! Great video! I'll be sure to subscribe the next time I get on Youtube! You did a great job on the video! Congrats on the YouTube channel. Just subscribed, can't wait to see more vids! Yayy! I'm so excited for your YouTube tutorials! YouTube tutorials, yes I am subscribed! 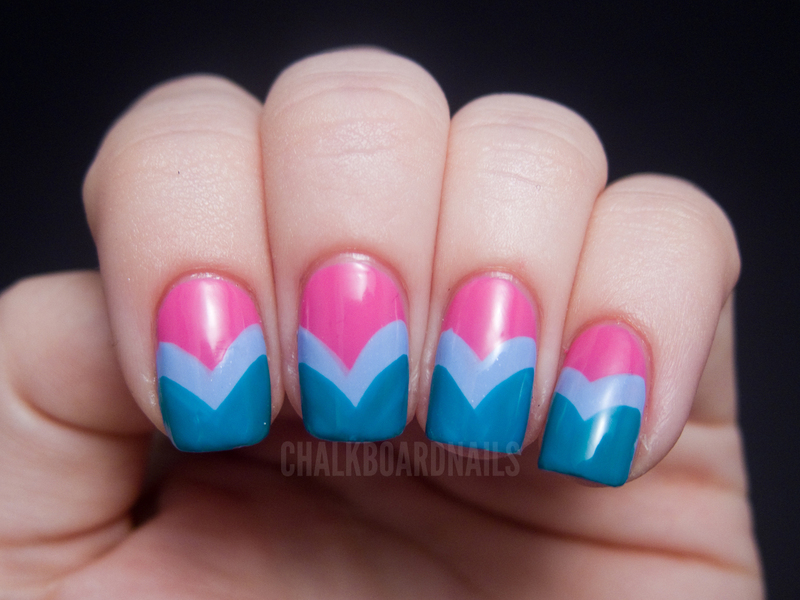 yay another "chevron" look! Totally pinning this! Cool tutorial! Gonna give it a try. Loving the combo. Yay for youtube debet!! 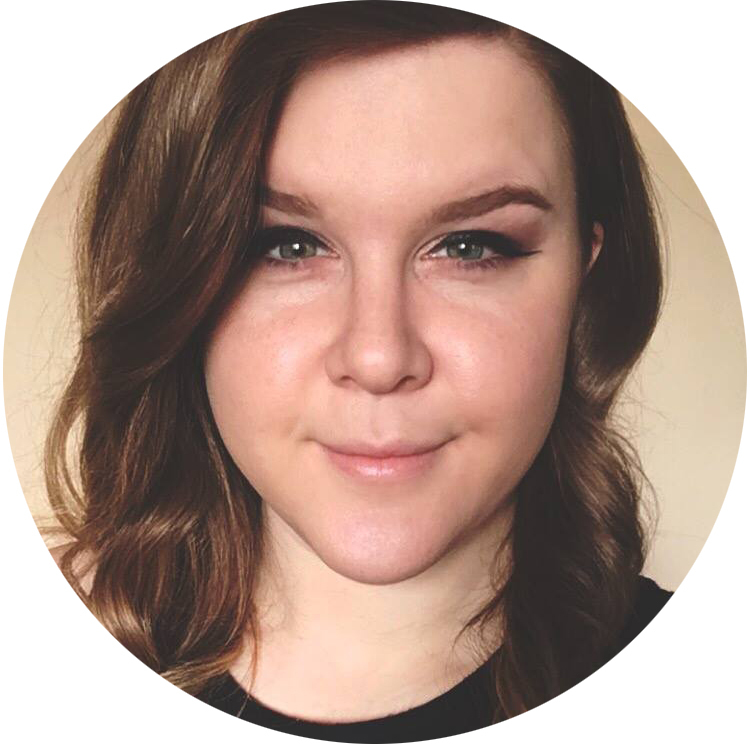 I love your blog - and your YouTube debut was fantastic! I hope you'll do some more tutorials this way. Thanks! YAY videos! Great job! May I suggest a video tutorial for your Hawaiian floral? Haha, I just tried this the very first time. I did it with three neon colours from this summer's China Glaze collection (yellow, orange and purple). Surprise surprise, it didn't come out looking this good as I don't have a very steady hand. :D Looking back on it I should have started practising with more subtle colours, but I still kinda love it, despite the design being all over the place! Super easy. Thanks for sharing!